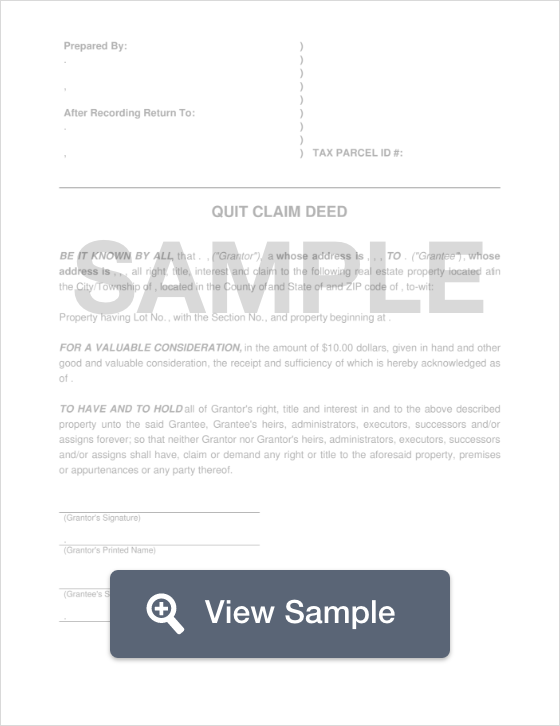 What is a Rhode Island Quit Claim Deed? Rhode Island Quit Claim Deed: What Is It? A Rhode Island quit claim deed is a document that transfers the interest of property from the seller (the Grantor) to the buyer (Grantee). In contrast from a warranty deed which provides a warranty or guarantees that the property has a clear title, a quit claim provides no warranty and comes with no guarantee that the property has a free and clear title. Due to this factor of uncertainty, it is highly recommended that the buyer conduct a title search to ensure that there are no undesirable surprises. Signing - According to Chapter 34-11, all quit claim deeds in the state must be signed by the Grantor in the presence of a Notary Public (§ 34-11-1.1). Recording - In the state of Rhode Islands, deeds are not processed at the county-level, instead, all quit claim deeds are processed at city/town-levels and should be submitted to your local city or town hall.